Olive Tree Genealogy Blog: Sneak Peek Tomorrow Night's Who Do You Think You Are! Sneak Peek Tomorrow Night's Who Do You Think You Are! Rachel McAdams and her younger sister Kayleen go on a journey together to unearth their maternal roots, since their mother knows so little about her history. First they follow the trail of their English grandfather's family, and find an ancestor who sacrificed much of his personal freedom to support his wife and children. Then, while tracking their grandmother's side, Rachel and Kayleen discover just how deeply connected they are to Canada and a pivotal moment in Canadian history. 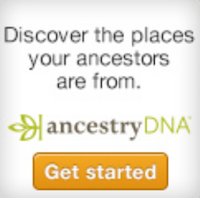 Labels: Ancestry.com, Canada, England, Loyalists, TLC, TV Series, WDYTYA, Who Do You Think You Are?